9" Red scalloped edge organza doilies adds elegance to your table setting. You can use these beautiful organza doilies to display party favors, candy, nuts or even potpourri. 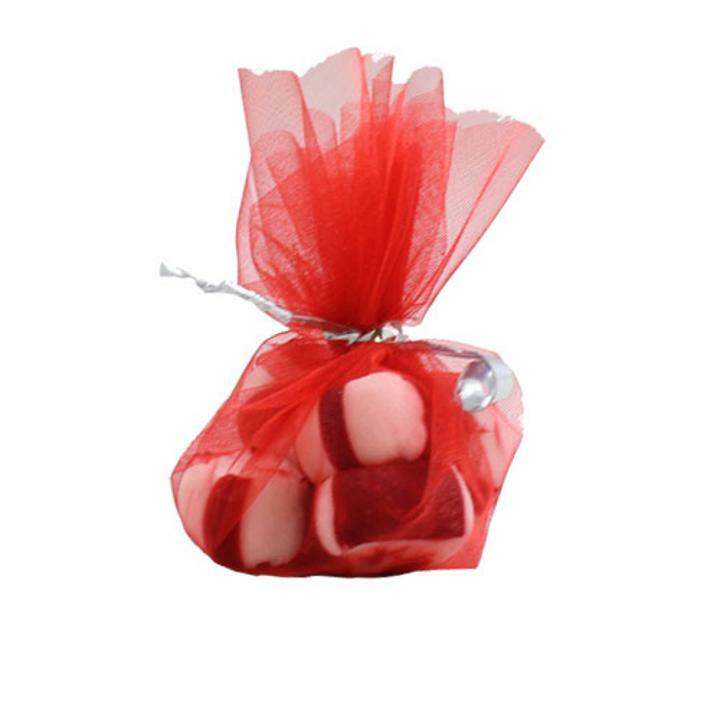 1 package of 25 organza doilies (no ties or ribbons) for weddings, events, trade shows and parties. Treats and favors not included.